Looking to locate your business . . . 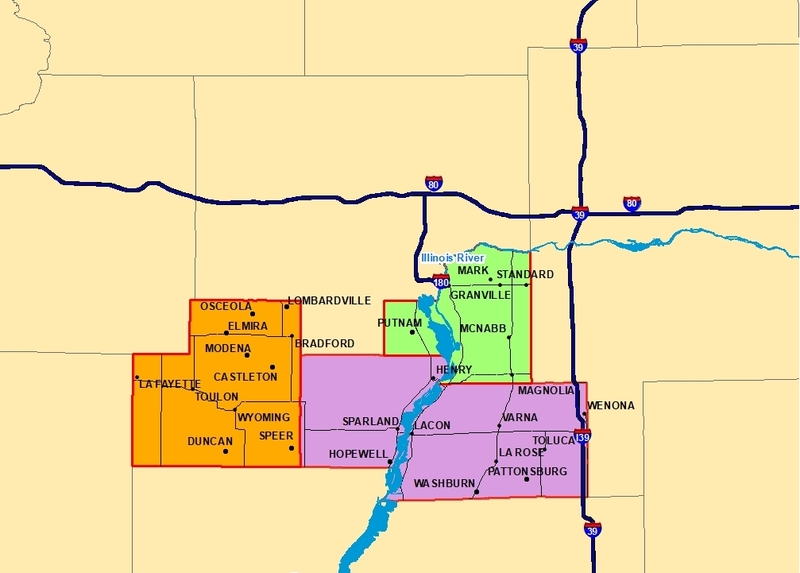 The Marshall, Putnam and Stark county area is within 30-60 minute drive of the much larger urban centers of Bloomington-Normal, Peoria, LaSalle-Peru and the Quad Cities, and yet the region is rural in character and population. The 3 county area has a population of 24,323 and agriculture is a big driver of the economy. There is a strong transportation structure in place that can support economic development which includes 3 Interstates, one east/west and two north/south, a highway on the West, 4 railroads located in the three counties and the Illinois River running through the region. 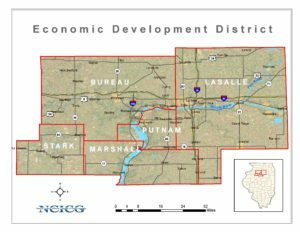 North Central Illinois Council of Governments (NCICG) administers the North Central Illinois Economic Development District (EDD) that includes Bureau, LaSalle, Marshall, Putnam and Stark Counties. 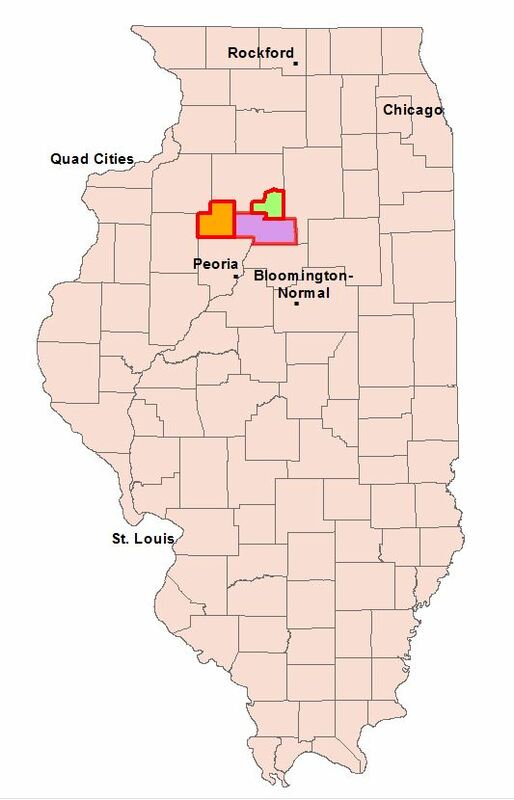 The North Central Illinois Economic Development District received its designation from the U.S. Department of Commerce – Economic Development Administration (EDA) in February 2005. The district is tasked with maintaining and implementing a Comprehensive Economic Development Strategy (CEDS) that identifies the economic strengths, weaknesses, opportunities, and threats to the region and identifies actions that will spur economic growth. A District Committee guides NCICG in this effort. 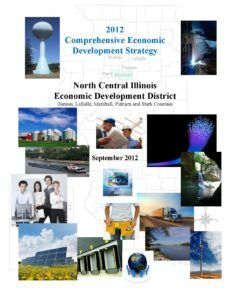 The Comprehensive Economic Development Strategy (CEDS) for the North Central Illinois District represents a combined multi-county effort to bring economic improvement to the area. The CEDS has been approved by the U.S. Department of Commerce, Economic Development Administration (EDA). The CEDS outlines past development efforts in the district, describes the area’s economy, provides geographic and demographic information, identifies potentials and constraints with development, and outlines specific goals to improve economic development throughout the district. The actions and strategies in the CEDS are designed to have NCICG work to supplement and support the existing economic development organizations and groups that exist in the region and to fill in gaps as needed. Congress and the U.S. Department of Commerce emphasize the importance of regional cooperation and development efforts to supplement the existing individuals, organizations, and associations that exist. This strategy allows the Federal government to participate in economic development in an efficient manner at the local level. The North Central Illinois Economic Development District has received EDA funding for the implementation of the Comprehensive Economic Development Strategy since October 2006. A Planning Partnership Grant NCICG has from EDA allows NCICG to implement and update the CEDS.